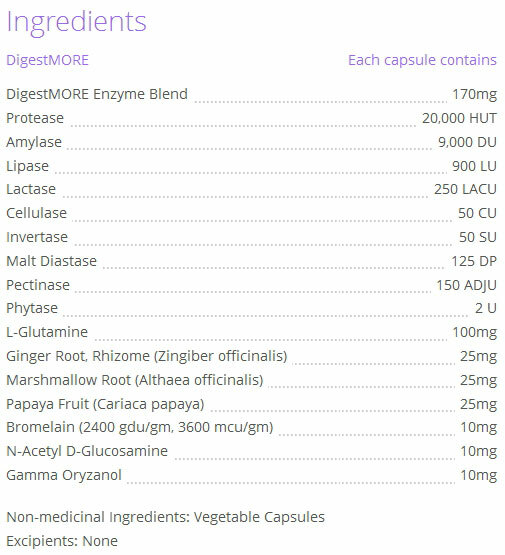 Take one capsule with each meal up to three times per day. 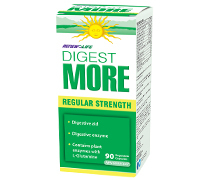 PLEASE NOTE: DigestMORE contains no dairy, wheat, gluten, soy, corn, yeast, additives or preservatives. Renew Life does not use genetically modified ingredients. All ingredients are NON-GMO. Warnings: Discontinue use if abdominal pain, nausea or vomiting occurs unless otherwise directed by a health care practitioner. Do not use if pregnant, breastfeeding, or after recent surgery. Keep out of reach of children. No refrigeration required. Store in a cool, dry place.